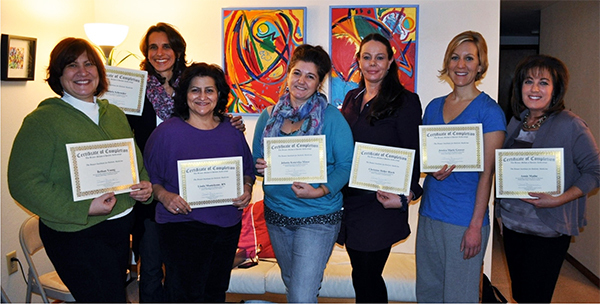 Please meet the 2013 graduates and certified Brauer Method Holistic Reflexologists. Dorit provided us with a vast amount of information as well as hands-on classroom experience. We saw the effects of reflexology on our classmates as well as on ourselves! Over the past months, I personally have experienced pain relief, the total elimination of plantar fasciitis and an improved optimistic view of the ability to affect my own health using this holistic technique. I look forward to now sharing my skills with my new clients and observing the improvement in their lives. I would highly recommend this class to anyone who is serious about becoming a skilled, well-educated practicioner. With the additional information about the business aspects of this profession provided in the class, I feel confident and excited about opening my own business and providing this service. I look forward to continuing my education with Dorit, who provides on-going information and support to her students after graduation. This has been a wonderful learning experience shared with an amazing group of women students. I thank you Dorit for all you have taught us! The first time I had Reflexology, all emotions that were locked deep inside myself for the last 2 years came pouring out in tears: grieving my father’s death; having a highly stressful competitive and relentless job; the signs of menopause approaching; constant unhappiness; weight gain that seemed to happen overnight; all wreaking havoc on my mental and physical health and attitude. Each session, these threatening emotions would release from my body and soon after, I started feeling a warm and calming effect that took 300 hours to perfect, and although I sometimes have setbacks, I feel more alive than ever. I learned to love myself, take time for myself and not to take things so personally. I gained the support of a fantastic group of healers, a true circle of friends while learning a valuable trait, eating healthy foods, and all by having fun. I now find that I seek out the light for calmness, lean toward the positive of situations and contemplate the good in all. This 300-hour course not only developed another skill, but also allowed me to find myself; unlocking those invisible chains opening new doors and accepting my outlook of today’s world and by focusing on a bright and shiny future. Through Dorit’s unique and valuable skills, I learned to use my intuitive hands to heal myself and others, to tap the vital energy to bolster the body’s immune system, control pain, promote weight loss, conquer anxiety, depression and other emotional blockages all by changing my perspective of life. Reflexology stimulates the reflex areas in the feet, which in turn relieves stressors of life (anger, fear, and worry) the main source of health afflictions. The moment reflexology starts, your body begins to work twice as hard to get rid of waste from cells, organs, blood and every other part of the body. Reflexology relaxes and activates the healing powers of the body and brings balance to the body’s internal systems, Reflexology is a new journey that I look forward to every step towards good health, good fortune and to experience life on a higher level and most importantly, to be able to pay it forward to others seeking its wondrous effects. I am grateful to have recently completed the 300-hour Holistic Reflexology course taught by Dorit Brauer. It has proven to be the most transformative experience of my life. Dorit is generous in her willingness to share her immense knowledge, skills, and techniques with her students. Her love for her work gives her the ability to convey this information in a clear, concise, understandable, manner. Due to her passion, I found this course to be quite enjoyable despite a difficult, intense curriculum. I am thankful for the great satisfaction I have attained working with my clients, and am excited to embark on this new journey with the same joy, wisdom, balance, and peace that she imparts to others. Upon singing up for the course I originally thought it was more than I wanted to spend. However upon its completion, I can say that it was well worth it. The course exceeded my expectations and I have learned and benefited on all levels more than I could have ever imagined. There are many valuable and important changes that have taken place during its duration. It’s benefits impacted positively my physical being, helping to work out and release the traumas in my life, from personal relationships and experiences like the car accident from 18 years ago. I have also gained emotionally as the course helped me to recognize, define and impose healthier boundaries in my life and gain more self-confidence. I am sure it’s benefits will continue to enrich my life and that of others in the coming future which can hardly be defined as the Holistic Reflexology is also a form of preventative medicine. Also in the process of the course I have had the privilege to meet amazing and fascinating people whom I feel blessed to share this journey with. Thank you so much Dorit, for everything you have done for us and providing us with such an extraordinary experience. Dorit’s 300-hour training class is a transforming experience for anyone who is interested in learning about themselves, the human body, and how to help and connect with others. As a trained nutritionist, Dorit’s class was a wonderful complement to my past knowledge and experience. 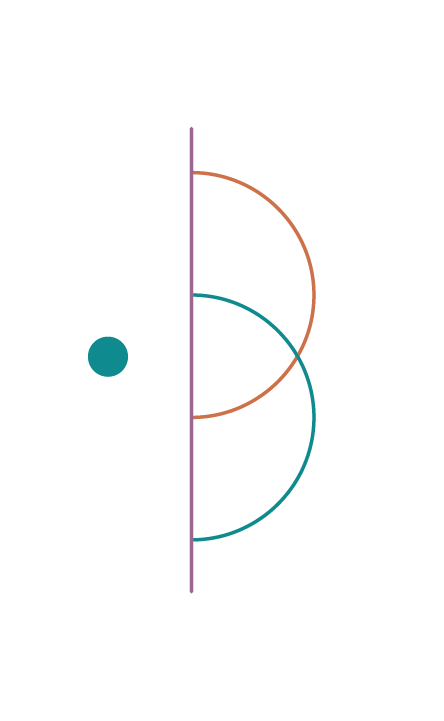 Although I was very aware of connections made within our bodies, I was fascinated and amazed by the connections that Dorit was able to make and teach us. I learned, not only the technical aspects of reflexology, but also how to connect with a patient’s needs and desires. I also realized that with each patient I have worked with I have gained a better understanding of myself, my responses, and the beneficial effects of human touch. I felt that, with each week that went by in the class, I was becoming a more enlightened practitioner as well as a more fulfilled human being. Learning with Dorit is an exceptional experience. She is open and provides a lot of individual attention. I would highly recommend this class or any other class that Dorit is leading. Thank you Dorit for a great year. I first met Dorit when I went to her for a reflexology session. From the moment she touched my feet, I fell in love with her work. I not only felt more balanced and energized after the session, but I also saw reflexology as a way to enhance my holistic approach to health and well–being. It was clear that I wanted to learn more about reflexology. 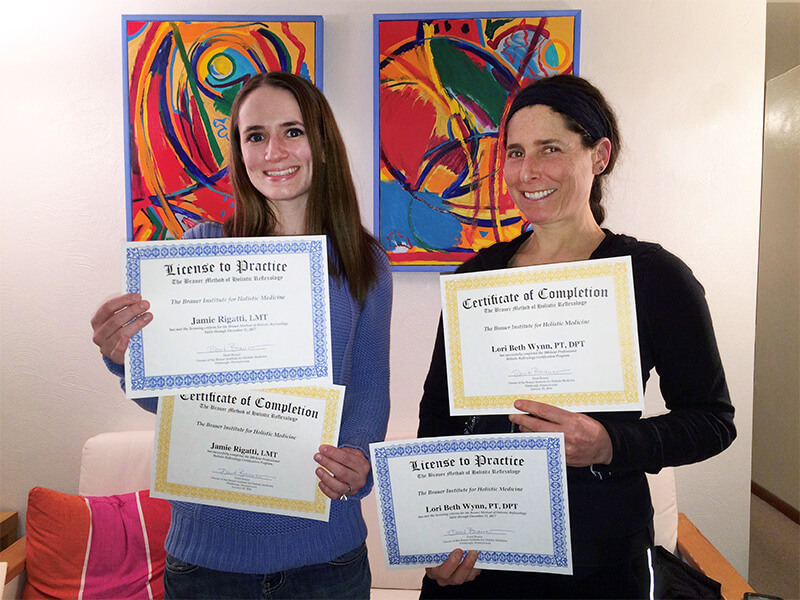 The 300-hour Professional Holistic Reflexology Certification Program proved to be the perfect path for me. Dorit’s open and friendly personality makes her class very inviting. She is a very talented teacher , who has the innate ability to connect with each student’s strengths and emotional feelings. Dorit’s personality and teaching brings to life her mission – “LIVE YOUR BEST LIFE.” With this passion, she gives you the key to fulfilling this mission in your own life. The 1.5-year reflexology class was not only a great experience for me as an individual, but also taught me, how to bring more health and happiness to others. It is a great gift for me to meet and work with Dorit and I am so proud to be the first graduate, who will work with her methodology in Europe. 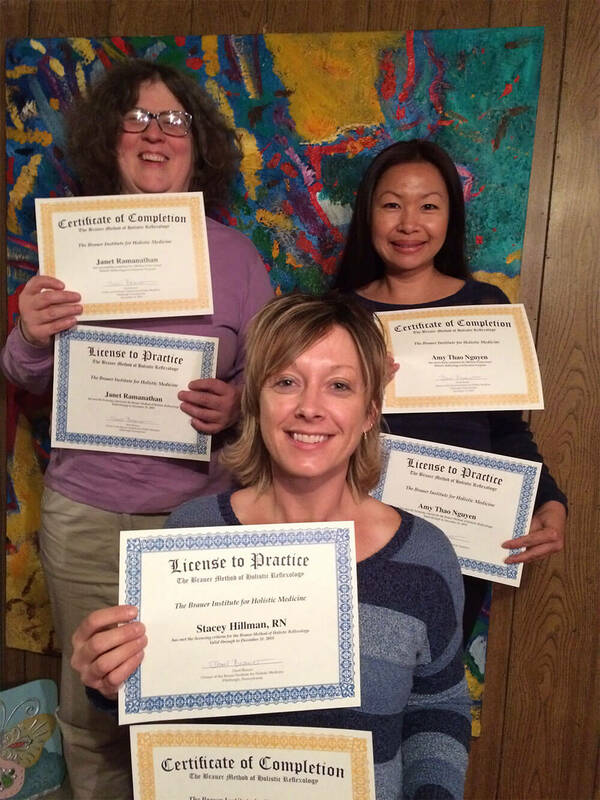 Please meet the 2016 graduates and certified Brauer Method Holistic Reflexologists. I absolutely loved Dorit’s class. I have evolved and grown so much in the past year. Some weeks were tough, I shed quite a few tears in the class. Looking at the world in a holistic manner has changed me in so many ways. I peeled off layers of insecurity and am a much more confident person now. I am in the process of becoming the person I was meant to be. The biggest change for me was dealing with some trauma from a medical study. I almost died and was storing that trauma in my body unknowingly. Through all the reflexology I received in the class and work on my own, I was able to conquer a huge fear that surfaced after the near death experience. I went through a year of counseling without any progress, and then with 5 months of reflexology training, the fear was gone. This class has truly made me a believer in the self-healing abilities of our own bodies. I had been reading Dorit’s email newsletters for several years, as recommended to me by my sister, an enthusiastic reflexology client of Dorit’s. When I found myself at a crossroads in my life, both personally and professionally, her newsletter seemed to have shouted out to me that a Reflexology Certification course was to begin the following week. I followed my intuition and called Dorit, and when making my final decision to in fact take the plunge, to sign up for the intensive 300-hour course, I was overwhelmed with emotion but still unsure why. It is now clear to me that my instincts were guiding me perfectly in exactly the direction that was meant for me. I have learned not only the locations of the reflexes on the feet and how to stimulate them. I have learned so much more. I have learned and have embodied the emotional and spiritual components of the organs and systems, and how to move stuck energy within myself first, so that I can now comfortably assist each client’s individual healing process by assisting in moving stuck energy within them. I have learned to do this by using consciousness, stimulation of the reflex points, but most importantly I have learned to do so with the utmost care and concern for the client. I have learned, most critically, to not only do this work always from the highest place of gratitude, balance, peace and love at all times, but to live my life from that place as well. Dorit is unlike any person I’ve ever met, full of light, joy, happiness, knowledge, patience and adventure. Most importantly for me, she has graciously shared her knowledge with her students, what I consider to be one of the greatest gifts I’ve ever received, truly a new perception of reality. That I can take this gift and pass it along in the form of healing to my clients is enough, but that it has changed my life, my relationships with my family and friends and the world as I participate in it, is more than I ever thought I would have gained from this course. I had reached a point in my life where I was searching for something different. I kept coming back to the idea of learning reflexology but was not sure where. I had run across Dorit Brauer’s website but had originally been intimidated by it. A couple of people had mentioned her name to me, and with the last one, I decided to take the plunge. That was the best decision for both myself and my family that I have ever made. It gave me a new perspective on life showing the connection between body and mind, both in theory and with practical examples and with practice on other people’s feet. I could see differences in people that I worked on. They became more relaxed and reported improved sleep and energy. I was thrilled but I knew that I owed it all to Dorit Brauer, her effective curriculum, and hands-on experiential training. Dorit is an excellent teacher and a wonderful human being. I am convinced that her warmth and sincerity flows through each and every encounter, be it with her clients or her students. I consider myself very fortunate to have had the opportunity to attend Dorit Brauer’s 300 hour Holistic Reflexology Certification program conveniently spread over a period of a year with plenty of studying and practice time between classes. It has been an affirming and life changing program for me and I am grateful that I am one of her ambassadors in her mission to spread the illustrious Holistic Reflexology that she learned in Israel to the US. I have much appreciation for Dorit’s vision and dedication to bringing her Holistic Reflexology training to our area from Israel. Her commitment to helping others to live a healthy, full, and happy life is evident in her teachings and meditations. The intense 300-hour course is the only certification in Pennsylvania and provides the student with exceptional hands-on experiences, scientifically proven benefits of reflexology, and ain-depthth case study to witness the betterment of a client’s overall emotional and physical health. I have practiced the art of caring for individuals as a registered nurse since 1995 and searched for a long time to find tools that can empower people and give them options to complement their healing process in emotional, spiritual, and physical aspects. As well, I have observed over the last few decades, the aftermath of unbalanced lifestyles and chronic, high stress on each of the body’s organ systems and found this holistic modality to be a key to turn off these imbalances. It enables the body to take a break from the stressors then enabling the body’s natural healing ability to do its job to restore equilibrium. Over the past fourteen months, my own spark and zest for life has reignited on a much higher, happier degree, my determination is clearer and more focused, and my physical energy has increased through classroom and classmate exchanges, self growth, and self discovery. Sessions have been a joy to share with my family, friends, and clients and the perspective that I have gained through Dorit’s training on the use reflexology, as preventative care has been life changing. The solid foundation and support that Dorit has provided through her wealth of knowledge in reflexology, business principles, and continuing education is priceless and much gratitude to Dorit for sharing. My own life has taken on a brighter shine, a keener awareness of all that is, and deeper appreciation for all of Creation. I look forward to continuing to touch people’s feet and lives in my holistic wellness practice and to guide them towards a life of balance in mind, body, and spirit. I have come to believe that “When the student is ready, the teacher will appear.” Prior to starting the intensive 300-hour reflexology certification program with Dorit Brauer, I was working a full time job while juggling two other part time jobs. I definitely did not have the time, but I made the time because it was important to me that I learn how to live a holistic lifestyle in this holistic reflexology class. I am so happy that I made that decision and stuck through it. The past 14 months has definitely been a life-transforming journey. I have learned to let go of what was, to live life fully in the moment and to set best intentions for what is to come. I have learned that love transcends everything. Most importantly, I have learned to live my life in the highest place of love, gratitude, compassion, peace and harmony. And now, I can teach others to live their best lives as well. I have great respect and gratitude towards my teacher Dorit Brauer. She is truly an inspiration and one who truly knows how to “Live your best life.” Her expansive knowledge and love for her work shows in the way she teaches her students in every single class. I’m honored to have had the chance to study under Dorit and am looking forward to continuing my education with her.